Fighting games as of late have become a dime a dozen. I don't mean that in a negative way, I'm just saying that there is a huge pile of fighting games that have cross my plate in the last twelve months, and I just don't have time for all of them. Each offering something better than the last, it's getting hard to find a game to settle on to try and excel at. 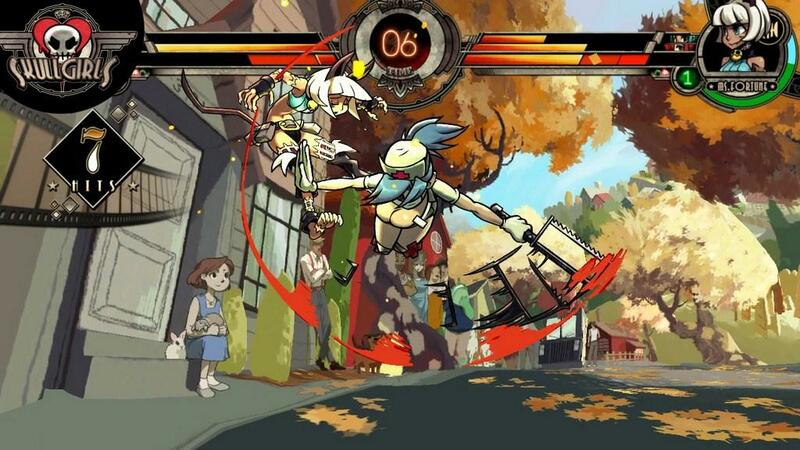 Skullgirls may be the game that lets me get some more focus time on one of my favorite genres. With a very, shall we say, interesting cast of characters and some very polished fighting mechanics, the downloadable title might just be one of the best fighting games of the year, if not the past few years. Skullgirls has been a long time coming for a lot of people, myself included. Knowing that the combined forces of artist Alex Ahad, and tournament professional Mike Zaimont were involved had me very eager to get my hands on this game. I would have to say that they make an excellent pair, delivering a game that looks and plays like the best of full retail titles out there. It's not perfection, but it's a damn good first try from Reverge Labs and Autumn Games. 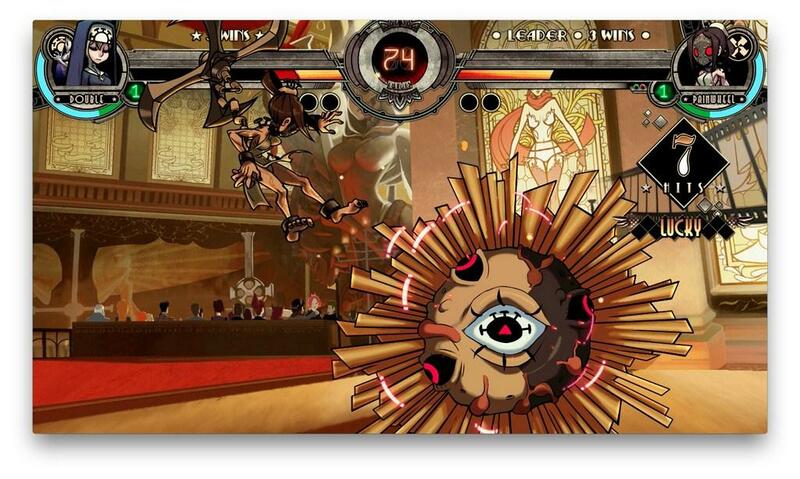 Skullgirls is a great looking game, even with it's divisive art style that will be a turn-off to a number of players. It's hard to describe this game in motion, but the sixty-frames per second gameplay is utterly fantastic to see in person. The all female cast of Skullgirls is definitely an interesting bunch from a design standpoint. You've got Ms. Fortune, a cat-girl with the ability to separate her own limbs from her body thanks to a mysterious gem she swallowed. Or there's Double, a shape-shifter that normally assumes the visage of a nun, but when it comes time to fight, she's a pretty horrifying abomination. 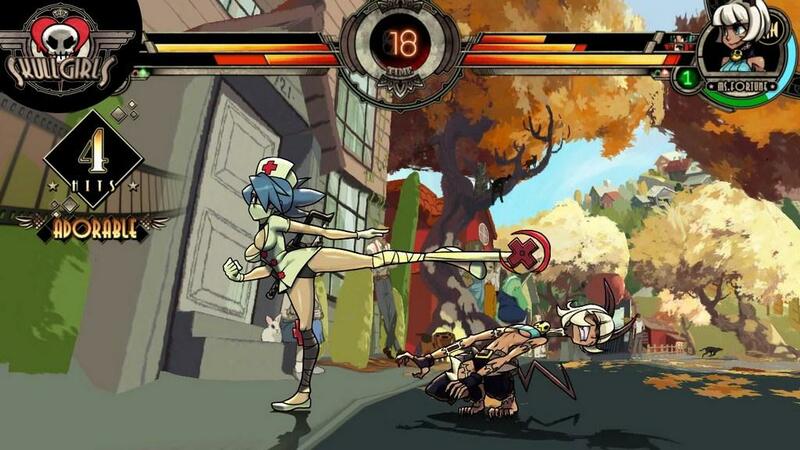 There's short skirts and skin abound in Skullgirls, which can be detrimental when developers want a game taken seriously. But if that's all it takes to drive people away from a good fighting game, then let them walk away, there's plenty of fun here for the rest of us. 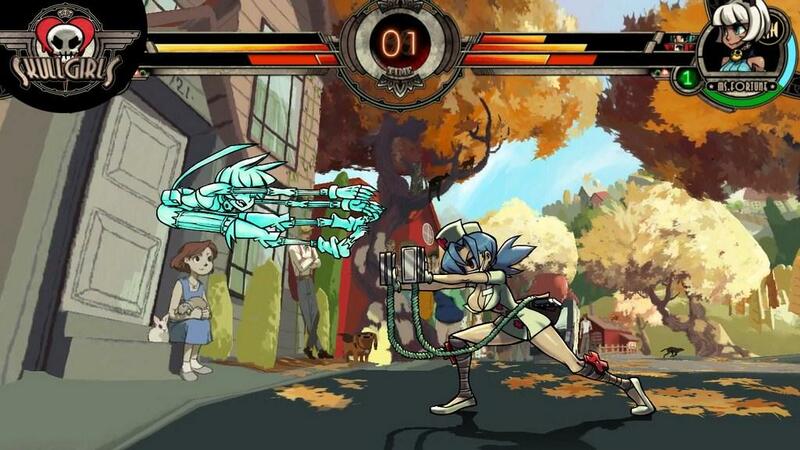 Those who stick around should also give heed to the soundtrack of Skullgirls. Composed by Michiru Yamane, her previous work in the Castlevania series shows through but with a bit more of a jazzy inspiration that seems to fit the game quite well. The voice acting is great throughout with an excellent job by the American cast of actors. 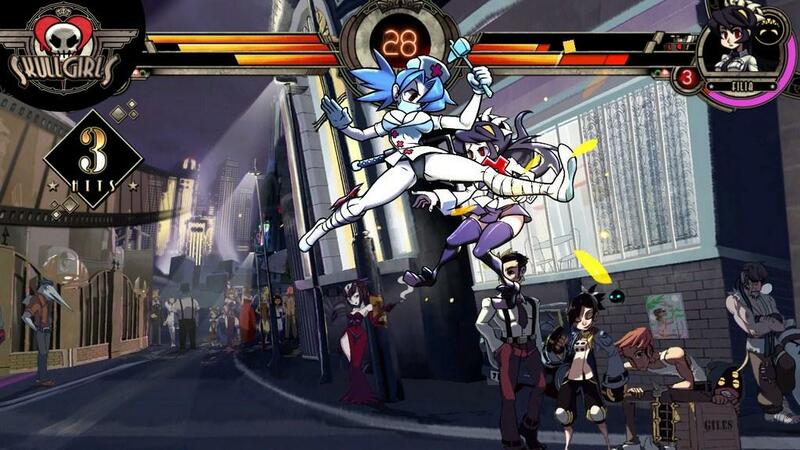 Skullgirls has drawn inspiration from a variety of fighting games past, and I don't want to say the work is derivative, but it's kind of hard not to. There's the Delayed Hyper Combos from the Marvel vs Capcom series, the character strength system from King of Fighters and Capcom vs SNK 2, and even some of the characters themselves feel like amalgamations of characters from other fighting games. But really it's easy to look past all of that because what's present is so well done that it's hard to fault the developers for going in this direction. They have taken the best of every system they could, and improved it in some way shape or form. For example, a character can jump in with an assist move that can be any attack in that character's arsenal in addition to the two moves that are recommended. There is also the Infinite Prevention System that allows players to break out of what the game perceives to be infinite strings of moves. It's very obvious that Skullgirls is a labor of love, and it shows in the personality of the characters and the world they inhabit. There is a ridiculous number of nods to video games and pop culture at large. I mean, how many people know why Peacock says 'garbage day' when she pulls out her gun for one of her special moves? Even the art has nods to other games, some famous, some not so much. Ms. Fortune's head during her win animation looks suspiciously similar to a character from the Japanese fighting game series Melty Blood. A lot of these charms have won me over in Skullgirls, it shows that while the developers were working on making this game, they still had a great deal of fun in doing so, which seems rare in games these days. 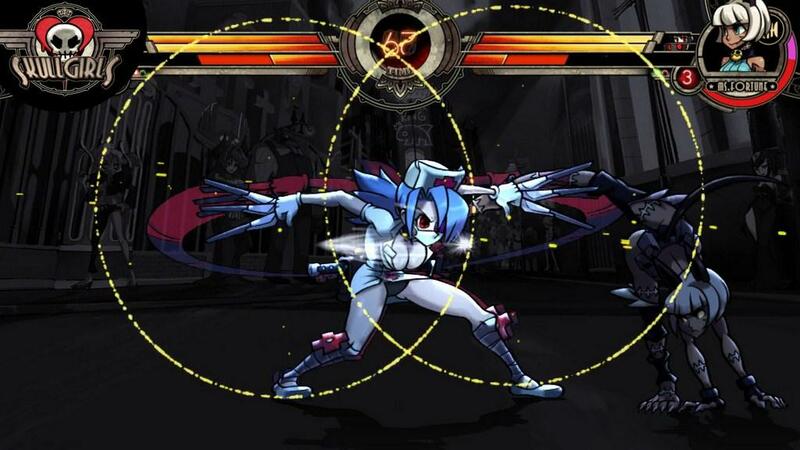 There is one curious design decision at play here in Skullgirls. In what could be the biggest and only detriment to the game, the lack of an in-game move list is an omission that will hopefully be addressed by the developers soon. They make it clear where a guide can be downloaded from, but it would have been infinitely more useful to have it in game. A lot of the characters use the same move motions that a lot of players have been using over the years. Those familiar with anything Street Fighter should be able to play this game without any trouble, but it is still a disappointment seeing the in-game move list absent. There is also a definite difference in performance between the PS3 and 360, with load times being much greater for the Microsoft console. For those who are new to fighting games, Reverge Labs has created a tutorial that does a pretty good job of teaching beginners the basic concepts like mix-ups and how to block correctly in certain situations. Also the training mode has the inclusion of a hit-stun meter, allowing players to gauge how long their opponents will stagger between moves, making it easier to time combos. I seriously hope that this inclusion alone makes it in to other fighting games, because it has helped me immensely in my timing. 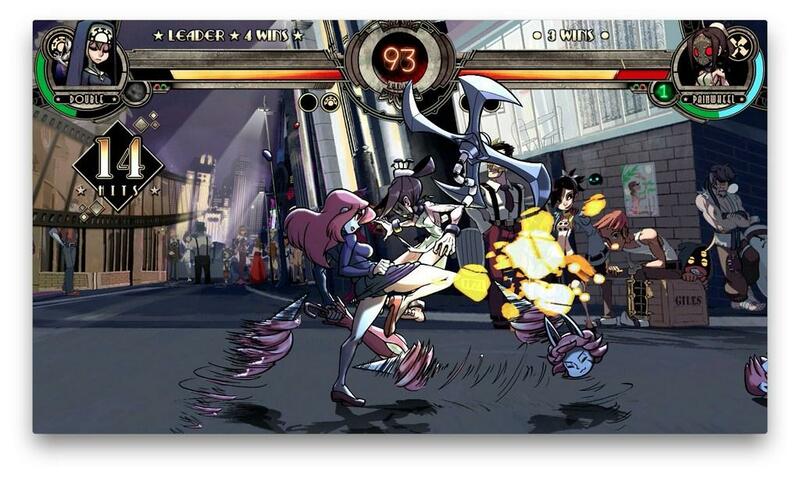 I had the privilege of getting my hands on Skullgirls back in the summer of 2011 during the annual Anime Expo at the Los Angeles Convention Center. I saw the potential in the game with just three characters on hand, and finally after what felt like agonizing months of waiting, Reverge Labs and Autumn Games have delivered on that potential with a fighting game that is only flawed by one design decision. 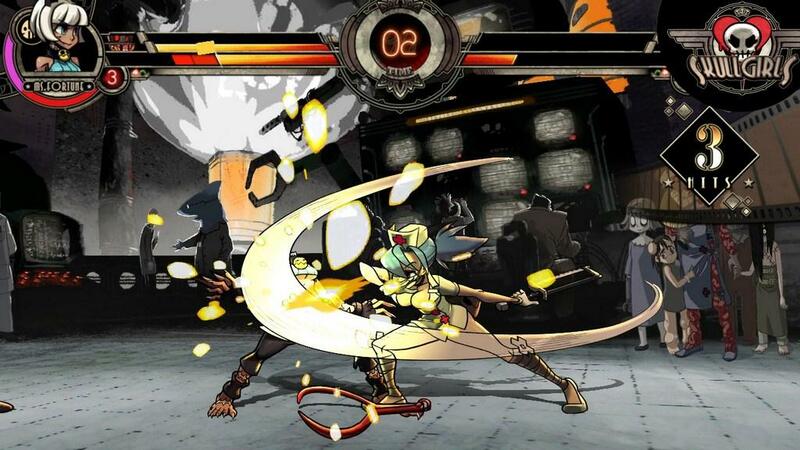 Solid fighting mechanics that are both surprisingly technical and ridiculously fun, it's very easy to say that Skullgirls easily stands up to the likes of the Street Fighters, the Tekkens, the BlazBlues, and everything else in between. The art style might be a hard sell for some people, and if that's the case they'll be missing out on one of the best new fighting game franchises in recent memory. 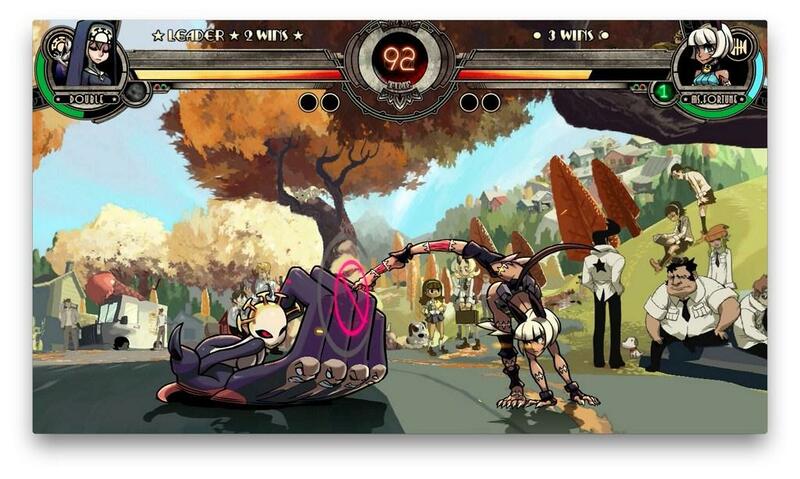 Here's to hoping that Reverge Labs and Autumn Games can release a "Super Skullgirls" in the near future.